We only use heavy duty hardware on our MTN BOX® road cases. 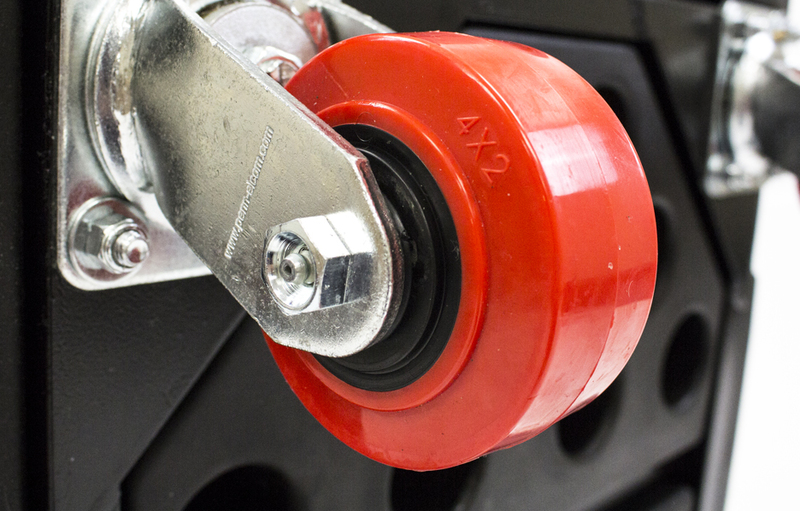 The Spektrum Series SM features the same swivel casters as our original design, each capable of supporting the weight of your case while providing a smooth push when moved. These casters have a cold forged top plate and base with hardened double ball bearing swivel raceways. Locking casters are optional.